Black and White Sides, Folds to 1/3 Open Size, Includes Storage Bag. A set of 2 heavy duty background holder hooks for one background. Translucent Diffusion, Creates Soft Light, Minimizes Harsh Shadows. 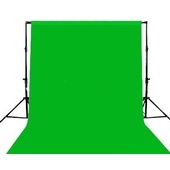 Designed to support rolls or sheets of background material up to 10kg. Strong support for paper, or cloth backgrounds. 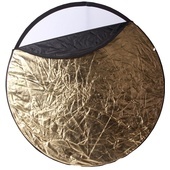 Westcott 5-in-1 Reflector Disc Kit - 40.5"
The plexiglass panel measures (150 x 76 cm). For Indra500 TTL & Indra360 TTL Lights, 7" Diameter, Bowens S Mount.